I am a fan of the Fine Cooking magazine. There are usually several recipes that I try, or at the very least one or two. 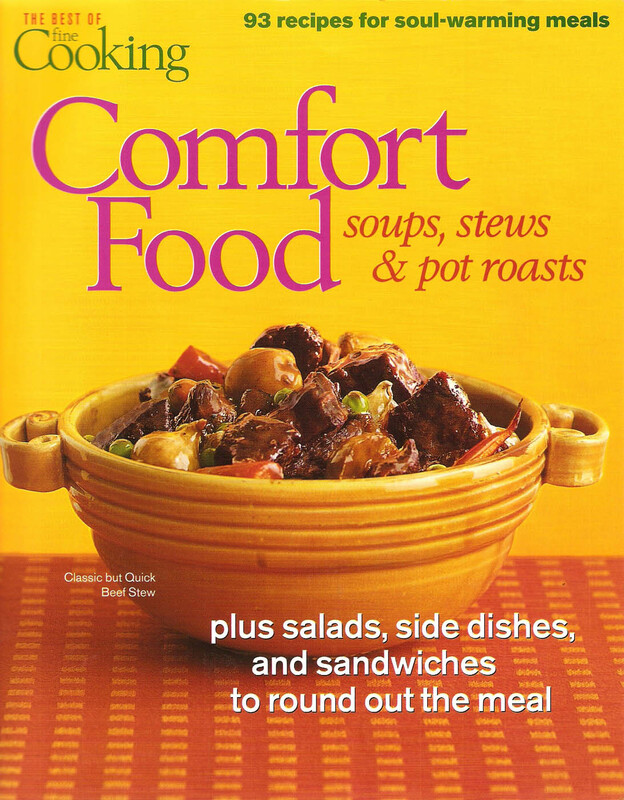 Fine Cooking Comfort Food published in 2004 has several recipes that I make frequently. We decided to use some of them for the blog so you could see them and consider buying one of their cookbooks. These recipes are for salads, side dishes, and sandwiches as well as the more common soups, stews and pot roasts. They usually put a different spin on a common recipe and give clear, concise directions. That is one of the things I really like about all of their publications. So many of the newer magazines use boxed or frozen mixes and leave nothing for the creative cook to do. I feel sure you will find at least one recipe to use from this book or any Fine Cooking book. You might check on their web site as they often have back copies of their publications for sale. Have fun with these recipes. That’s what cooking should be, Fun!